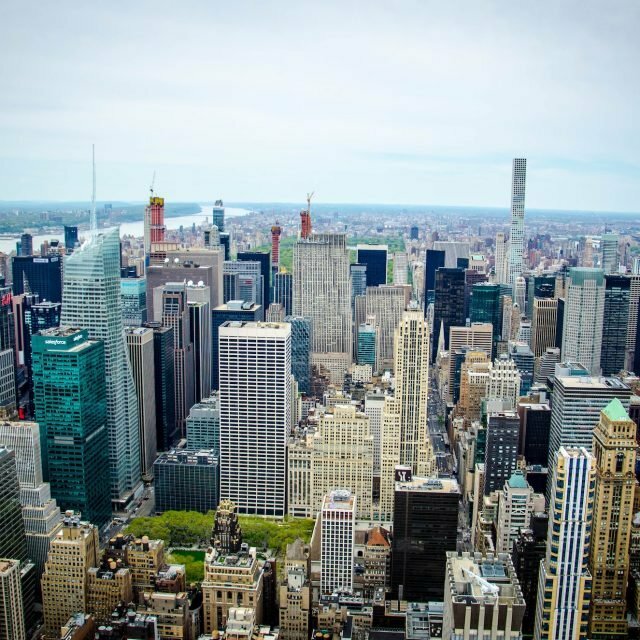 While visiting the major, most popular attractions of New York City can be fun, it can also be stressful, overwhelming and full of selfie-taking tourists. 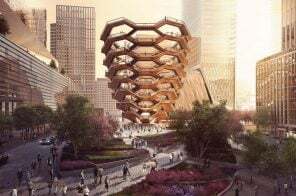 However, the great thing about the Big Apple is that plenty of other attractions exist that are far less known or even hidden in plain sight. To go beyond the tourist-filled sites and tour the city like you’re seeing it for the very first time, check out 6sqft’s list ahead of the 20 best underground, secret spots in New York City. At the turn of the century, Chinatown was made up of many alleyways used for gambling, smuggling, and quick getaways. Found between Pell and Mott Streets, the sharp curve of Doyers Street became known as the “Bloody Angle” in 1905 because of the gangs that lay waiting in the street that bent at a nearly 90-degree angle. Two major factions battling for control of Chinatown included the Hip Sing Tong and On Leong Tong. Literally stained red during its most violent years, the 200-foot long street is considered one of the most violent in American history. Because of the street’s shape, gangsters carrying hatchets would wait around one side of the Bloody Angle until their victims turned the corner. Some say this is where the term “hatchet man” originated. While part of the tunnel is gone now, the half that travels through Chatham Square can still be visited. At the southwestern counter of the alley, is the Chinatown landmark Nam Wah Tea Parlor, the first business to bring Dim Sum to New York in 1920. Located between the Marine Park and Jamaica Bay in southern Brooklyn sits a 20th-century landfill known as Dead Horse Bay. 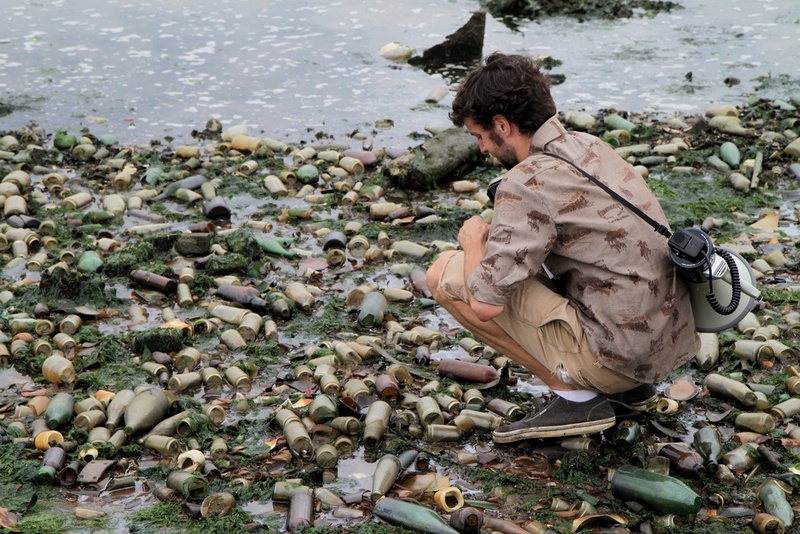 Detached from the rest of New York City, the bay is covered with thousands of broken bottles, shards of glass, and other indecomposable remains. 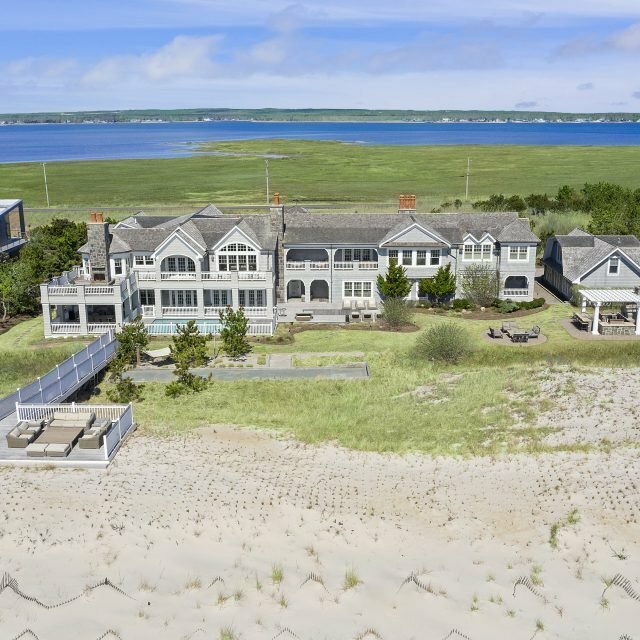 The bay first got its name in the 1850s when horse-rendering plants still surrounded the beach. From the 1850s until the 1930s, dead horse carcasses and other animals from NYC streets were used to manufacture glue, fertilizer, and other products at the site. As more people started driving cars more than horse and buggies, the marsh was turned into a landfill. Completely filled with trash by the 1930s, the piled had to be capped. Then, in the 1950s, the cap burst and the trash leaked onto the beach and continues to do so today. While not exactly a scenic harbor trip, visitors of Dead Horse Bay will leave with treasures of New York’s past, some even 100 years old. Radio City Music Hall, which opened in 1932, is a New York City icon home to the famous Rockettes. 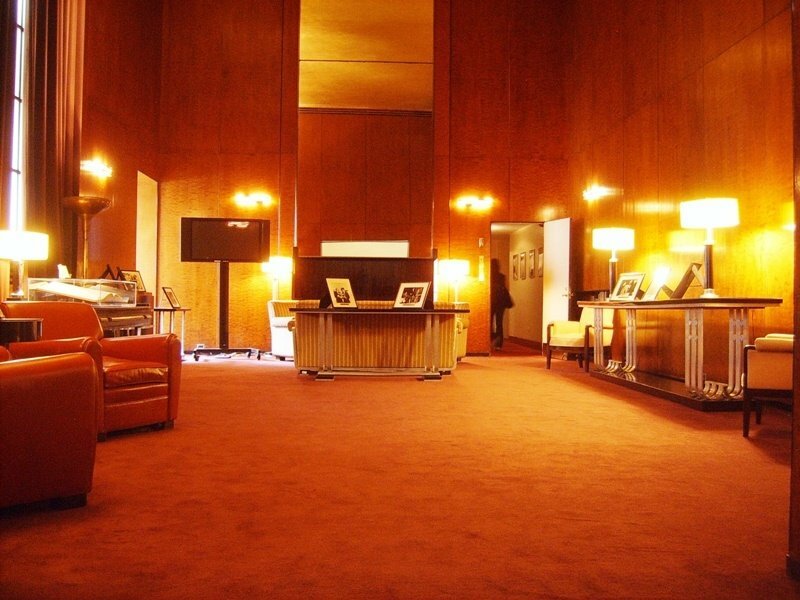 Designed by architect Edward Durrell Stone and interior designer Donald Deskey, Radio City is known for its Art Deco decor, luxurious drapes, gold leaf and incredible murals. 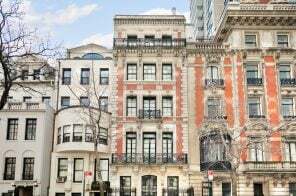 While millions have visited the music hall since it opened, many do not realize there is a secret apartment, built for Samuel “Roxy” Rothafel, an entrepreneur who owned some of the first successful theaters in Times Square. Roxy helped Radio City produce ground breaking shows and introduced synchronized orchestral scores to silent films. To thank him for his magic touch, Stone and Deskey gave Roxy a present, found high inside Radio City: A lavish Art Deco-style apartment with 20-foot high ceilings covered in gold leaf. Roxy used to wine and dine celebrities like Olivia de Havilland and Alfred Hitchcock. No one has lived in the apartment since Roxy died in the apartment in 1936. 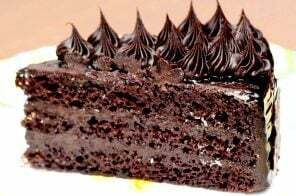 However, the room, now known as the Roxy Suites still features its original furniture and fixtures and can only be rented out for the most luxurious events. In the middle of the East River between Manhattan and Queens sits Roosevelt Island, known for its tram that takes you between the island and Manhattan. However, the land, formerly known as Blackwell’s Island, has a bit of a spooky history. As a way to quarantine people with smallpox from the rest of the city, a hospital was built in 1856 on the island to treat them. Designed by James Renwick Jr., known for designing St. Patrick’s Cathedral on Madison Avenue, the hospital featured a Gothic Revival style. From 1856 to 1875, the Renwick Hospital treated roughly 7,000 patients per year. In 1875, the building was turned into a nurses’ dormitory and the smallpox hospital was moved to North Brothers Island. The hospital left behind quickly became useless and was abandoned by the city in the 1950s. 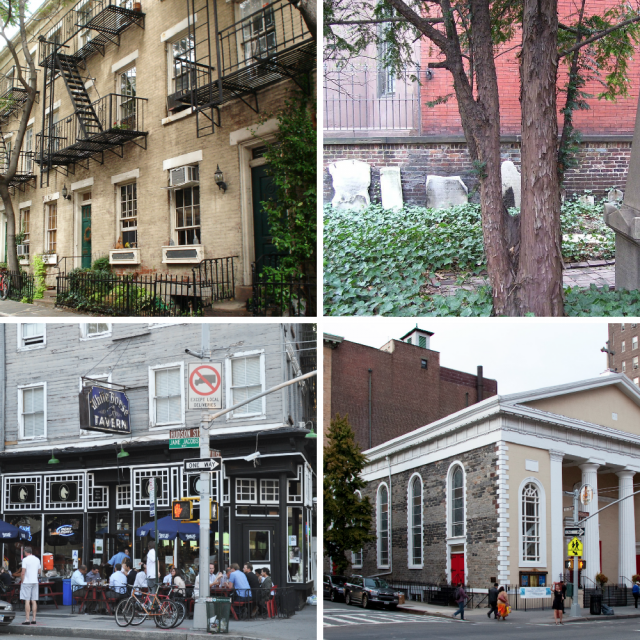 In 1975, the Landmarks Preservation Commission declared it a city landmark and reinforced the walls. While there are rumors of ghosts evading the ruins, the only creatures taking over include a group of stray cats. Indeed, the site has become something of a feline sanctuary. The Freedom Tunnel, which runs three miles under Riverside Park from West 72nd to West 122nd Streets, was first built by Robert Moses in the 1930s to expand park space for Upper West Side residents. 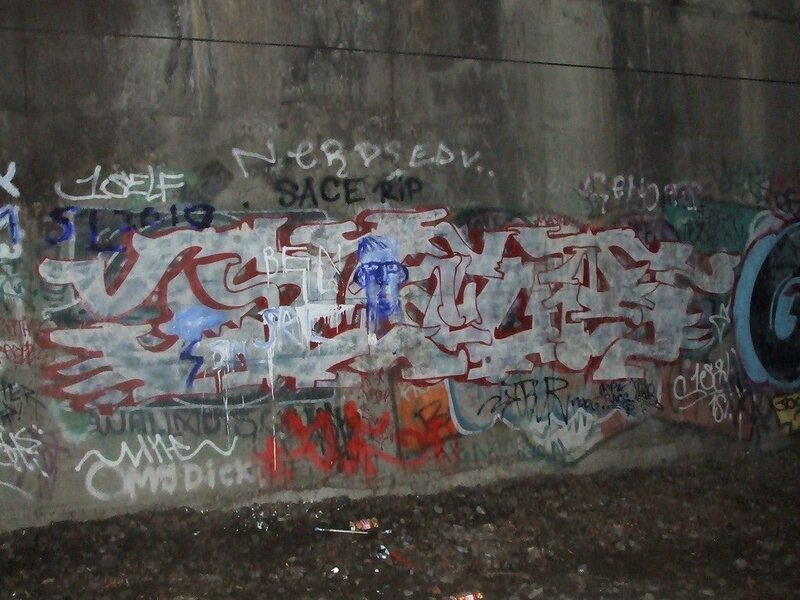 It was used for freight trains until 1980 when its operations stopped and the tunnel became a haven for homeless New Yorkers and graffiti artists. Artist Chris “Freedom” Pape first came to the tunnel in 1974 and started spraying painting artwork throughout. In 1991, Amtrak reopened the tunnel which led to a mass displacement of hundreds of people that lived there. The shantytowns were bulldozed and the tunnel was no longer accessible. Still, Pape continued his work. His final work was a comic book-style mural, called “Buy American,” in honor of the homeless New Yorkers who lived in the tunnel. It became such an attraction for those curious about the city below them that Amtrak painted over the mural in 2009. While not all of his artwork survived, Pape’s “Venus de Milo” and “Coca-Cola Mural” can be seen today. 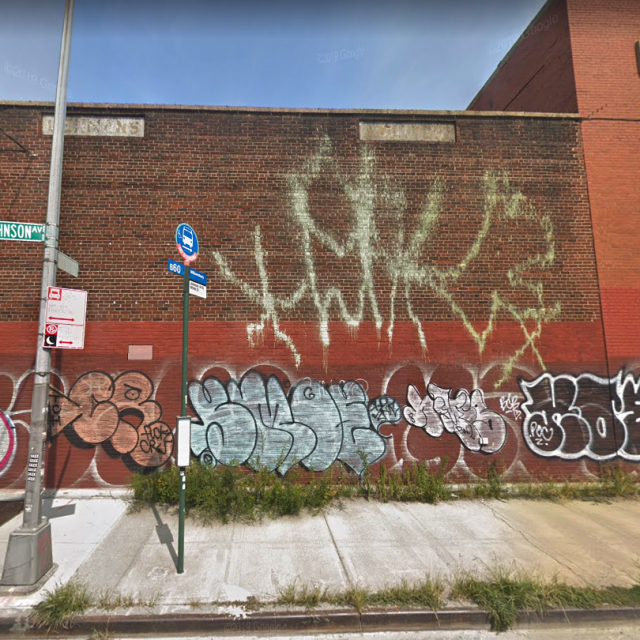 For those hoping to get a deeper look into the graffiti culture of New York City, it’s possible but somewhat dangerous to get to the Freedom Tunnel. The tunnel continues to be used by Amtrak, so explorers must stay alert. 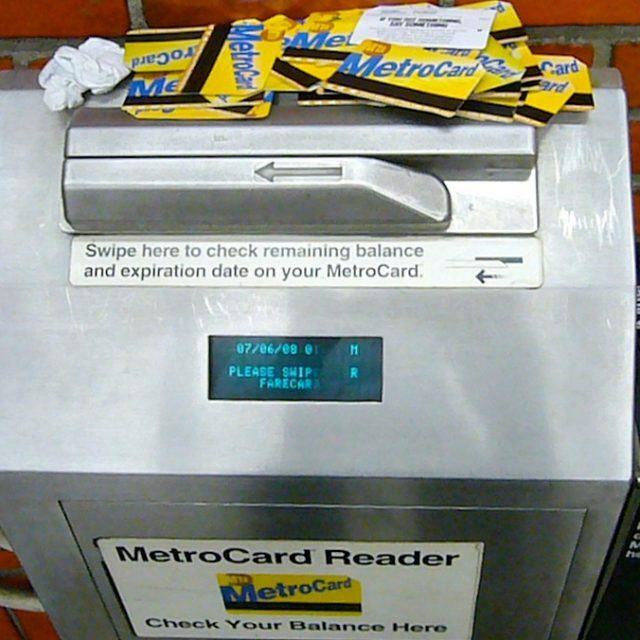 Find the tunnel’s entrance by taking the subway to 125th Street, slipping through a gap between a fence and following the tracks until reaching the tunnel. It’s hard to believe 280,000 pounds of soil hides in a random New York room. 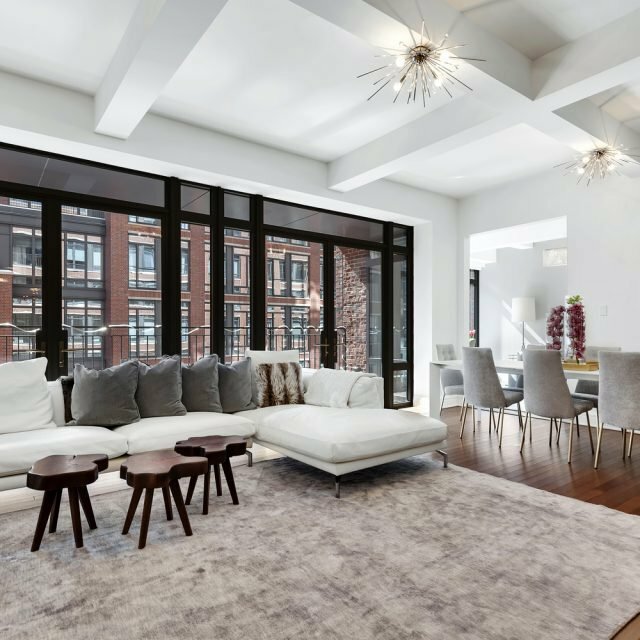 But that’s exactly what can be found at 141 Wooster Street in a spacious Soho loft. The art installation, known as the “New York Earth Room,” was created by Walter De Maria in 1977 and the same dirt the artist installed 35 years ago remains today. The Earth room contains a 22-inch deep layer of dirt spread across the 3,600-square-foot gallery. Originally meant to be displayed for just three months, the Dia Art Foundation supported it permanently beginning in 1980. Hidden in the depths of Grand Central is a secret train platform used by presidents to escape the public and enter the Waldorf Astoria Hotel without anyone seeing them. Known as Track 61, the private railway was first used by General John J. Pershing in 1938 and later in 1944 by President Franklin Delano Roosevelt, who did not want the public to see he was confined to a wheelchair after contracting Polio at age 39. FDR would travel in a train car covered in thick steel and bulletproof glass, with his Pierce Arrow limousine in tow. When the train arrived at Track 61, both the president and his limo were lifted into the freight elevator. While the hidden track stopped being used in the 1960s and 1970s, some believe Andy Warhol snuck down to the railway to host an underground party. By the 1980s, the abandoned track became home to many squatters. 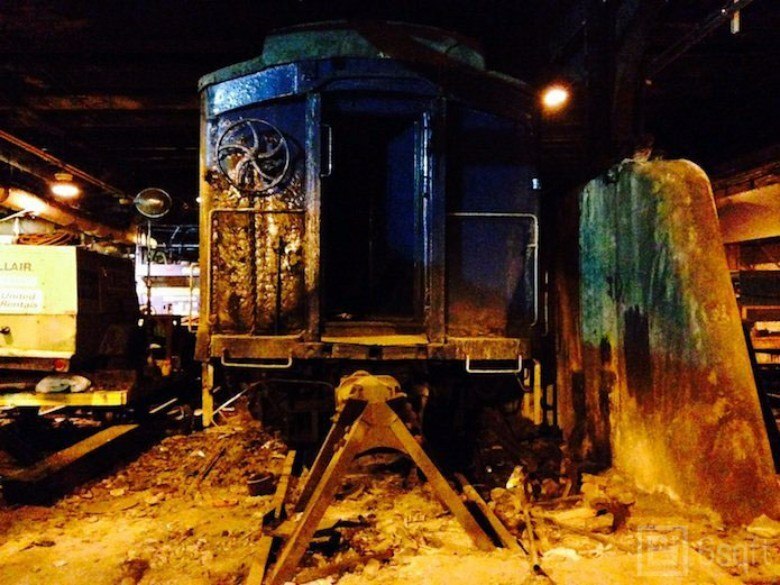 While the station now consists of mostly grime and soot, an antique train car remains parked there. No public tours of Track 61 currently are available, but those trained to be docents of Grand Central are known to be offered tours. Discreetly tucked away between two office buildings at 55 Water Street in the Financial District, there is a secret, elevated plaza. While the public plaza was completed in the 1970s, the current design wrapped up in 2005 by Rogers Marvel Architects. The hidden meadow features lots of gardens and plants, elevated high above the bustling streets of FiDi. Those sly enough to discover the plaza can benefit from an amphitheater, beer garden and sweeping views of the East River. The plaza can be reserved to host private events and programs, or simply be used as a peaceful lunch break spot. 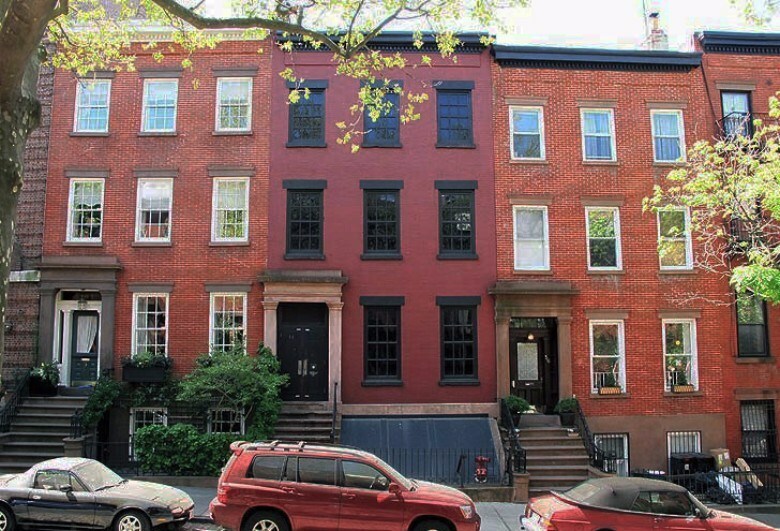 Walking through Brooklyn Heights and admiring the historic, beautiful brownstones can be a fun and relaxing way to spend an afternoon. 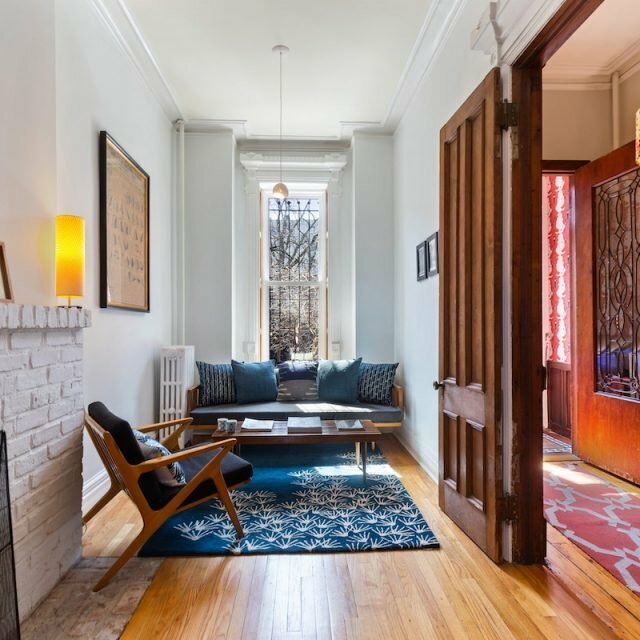 But, while on that Sunday stroll, head to 58 Joralemon Street. This home looks like the all the rest; the big difference is that no one lives inside. 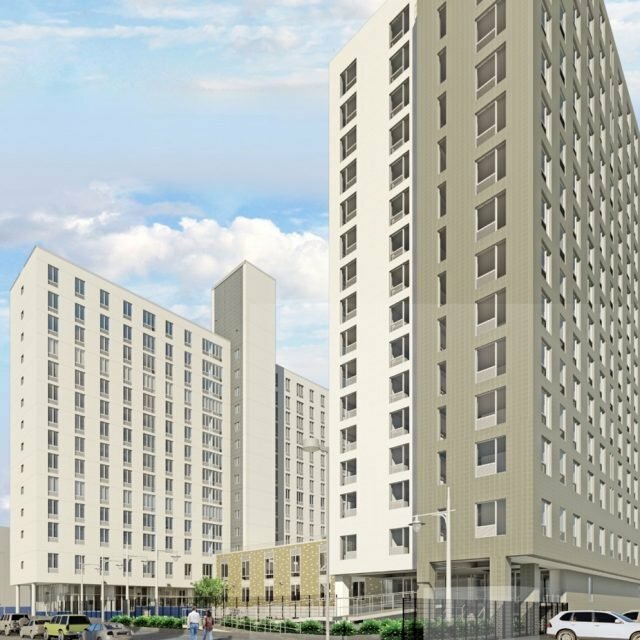 The building is a decoy used to hide a subway ventilator and an emergency exit. 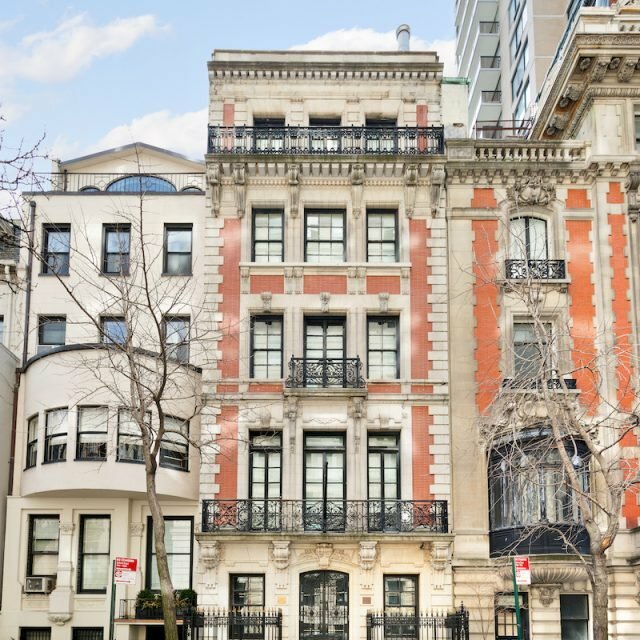 The Brooklyn Heights home was used as a private residence in 1847, but was later converted into a ventilation building and emergency exit during the extension of the subway from Bowling Green in Manhattan to Borough Hall in Brooklyn which opened in 1908. In order to curb curious explorers, the NYPD is said to have heightened some security measures near the home. Like many secret New York attractions, the Toynbee Tiles are hidden in plain sight. Found in about two dozen major cities in the United States, the hundreds of tiles have no clear origin. 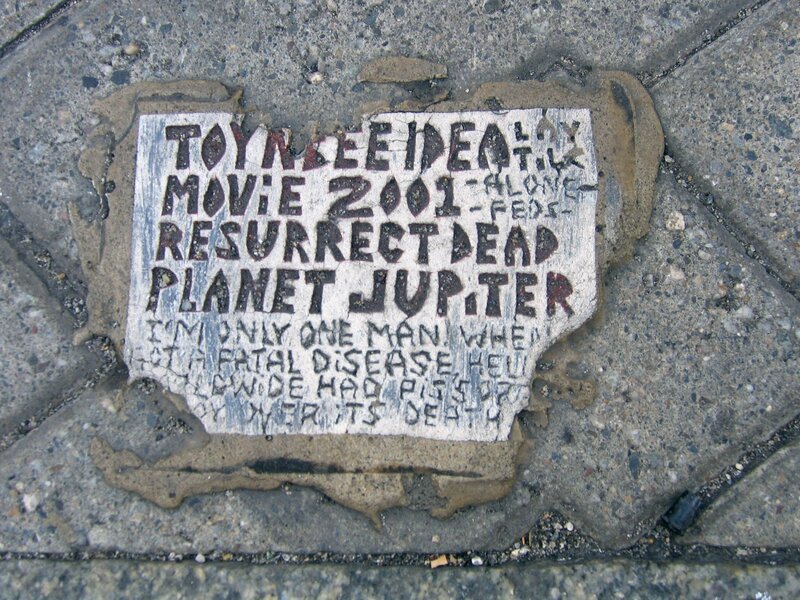 Roughly the size of a license plate, the rectangular tiles are embedded in the asphalt and have the following vague inscription: “TOYNBEE IDEA IN MOViE ‘2001 RESURRECT DEAD ON PLANET JUPITER.” While a few compelling theories exist (and even a documentary called “Resurrect Dead” explaining them), no one knows for sure why they originated. Some believe a 70-year-old carpenter from Philadelphia, James Morasco, created the tiles, with copycat tiles beginning to spread worldwide. For those seeking to interpret the meaning behind these cryptic tiles, head to 24th Street and 6th Avenue and look down. To find the rest of the Toynbee Tiles throughout New York and other cities, use this map. Lovers of hidden American history should head to the northern section of Central Park. Blockhouse No.1 or the Blockhouse remains the park’s second oldest structure. 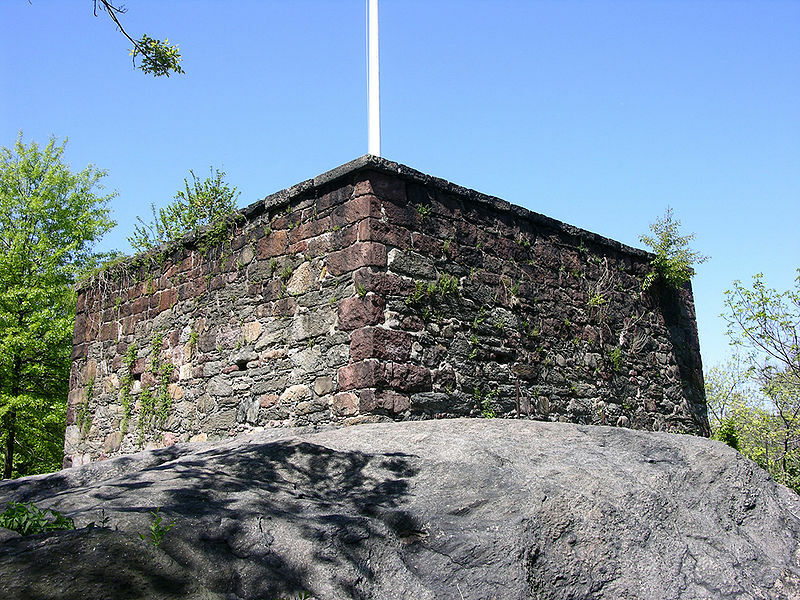 First built in 1812 to defend against the British, the structure stands on the edge of a high precipice above the lower part of Harlem and Morningside Heights. At its peak, the fort held 2,000 New York militiaman. Since the British never attacked New York City, the Blockhouse never was used during a combat. Currently, the structure sits abandoned. Tours are occasionally given by the Urban Park Rangers, but usually, the building stays locked and solo exploration trips are not allowed. 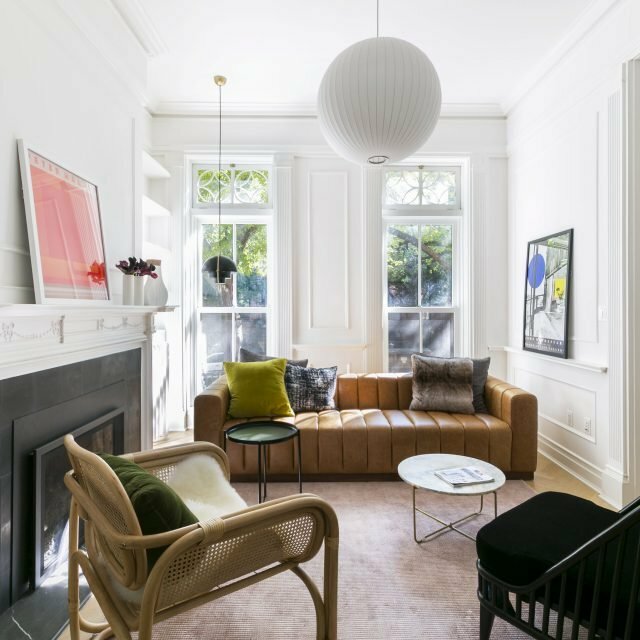 Covertly located off Church Street in Tribeca, the “Dream House” serves as a trippy meditative art space for New Yorkers in need of a deep breath or two. A black door simply reads “the dream house” in white letters. For a small price, visitors can spend as long as they wish in the purple-lit, incense-smelling room. Created in 1993 by modern composer La Monte Young and visual artist Marian Zazeela, this light and sound art installation lets city dwellers relieve stress after a long day. Looped, minimalist music plays throughout the pad, and the music changes based on whether visitors are standing or lying down. The spot is run by La Monte Young’s MELA Foundation and funded by the Dia Art Foundation. El Sabroso, while becoming increasingly better known, is definitely not easy to stumble upon. Located inside the freight entrance of 265 West 37th Street, you will find a tiny counter serving Latin American food, which makes up the entire restaurant. While simply a counter inside a hallway, the standard Latin fare is some of the best in Midtown and New York. This legitimate hole-in-the-wall, found in between a coffee shop and a smoke shop, takes cash only and offers delicious food for under $10. 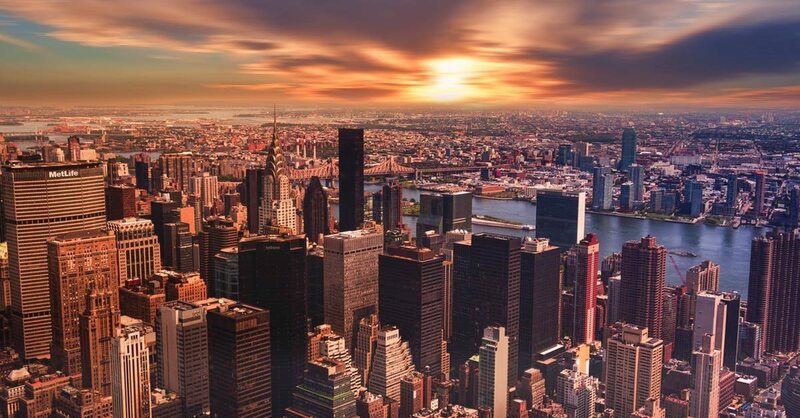 Found nearly 80 feet beneath the New York Federal Reserve Bank in the Financial District is the largest concentration of gold in human history. It contains a Fed-operated vault that is built in bedrock and includes deposits from central banks from around the world. The vault is a double-story cylindrical space which rotates. Inside, there are 122 separate mini vaults, in addition to smaller vaults for account holders. In total, there are about 7,000 tons of gold bars, five percent of all of the gold ever mined. Surprisingly, anyone can tour the vault with the Federal Reserve Bank. But for security purposes, visitors must register 30 days before the day of the tour. After the Berlin Wall was taken down, pieces of it were sent around the globe, including five pieces that landed in New York City. The concrete hunks include artwork from artist Thierry Noir, who began painting the west side of the Berlin Wall in the 1980s, to make the wall less threatening. A 20-foot section of the wall can be found at 520 Madison Avenue, originally bought in 1990 from the East German government by Jerry Speyer of Tishman Speyer. The five bright panels were visible from the street for many years but recently moved into the lobby of the building in an effort to preserve the historic slabs. Thankfully, the lobby remains open to the public every day. Did you know that over 1,500 rare belongings of Harry Houdini can be found just around the corner from Penn Station? However, most travelers passing by the Houdini Museum walk right by it. 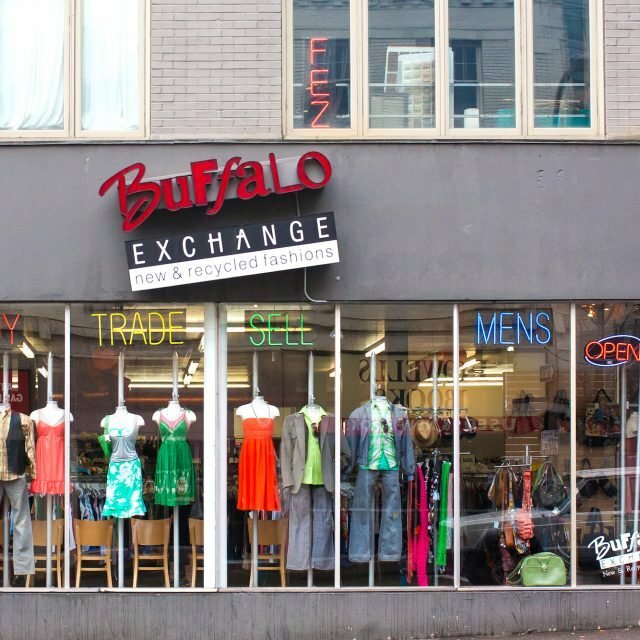 Visitors must walk through a nondescript lobby on 7th Avenue and take the elevator to the third floor to find the museum, which first opened in 2012 and sits within the Fantasma Magic shop. Objects displayed include rare publicity posters, unthinkable handcuffs, large escape restraints, Houdini’s secret escape tools and other memorabilia. The most magical part of this hidden destination? It’s free. The 26-story tower at 77 Water Street in the Financial District is not your typical office building. On top of the roof sits a World War I fighter plane and its lobby features a penny candy store. The William Kaufman Organization first built the office tower in 1970 and hoped to decorate the roof with something unique, letting workers be free of their confined office environments. While some speculated the aircraft landed on top of the building, it actually is just an artistic replica of a 1916 British Sopwith Camel. 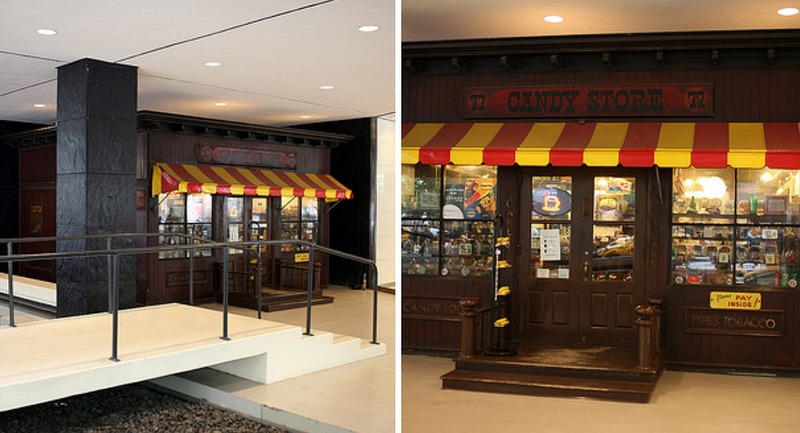 Another whimsical touch of the building includes a turn-of-the-century penny candy store. 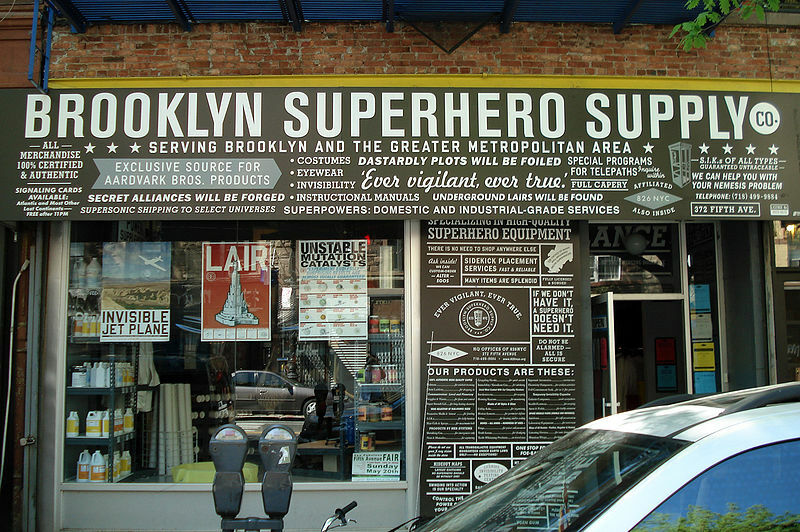 The store remains open for business, with signs for actual old-time brands and a striped awning. 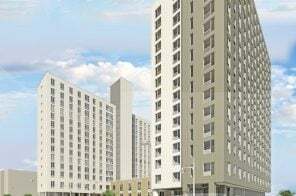 What started out as squatters taking over an abandoned city-owned building at 21 Avenue C on the Lower East Side, later became a successfully run affordable housing co-op. When squatters first moved in around 1980 they discovered a leaky roof. To stop water from dripping on their heads, the inhabitants used umbrellas, giving way to the building’s name. Almost fifteen years ago, the City of New York granted the squatters of Umbrella House the rights to 11 buildings they had taken over. After many years of renovations and improvements, the building recently built an 820-square-foot urban garden on its roof, run by volunteers. Each year, residents paint old umbrellas and hang them from the fire escape as a way to honor the building’s history. Squeezed in between Second and Third Avenues on East 51st Street sits a vest-pocket park known as Greenacre Park. While New Yorkers appreciate any tiny piece of greenery, this privately-owned, but publicly accessible park, one of the smallest in the city, stands out from other parks around NYC. 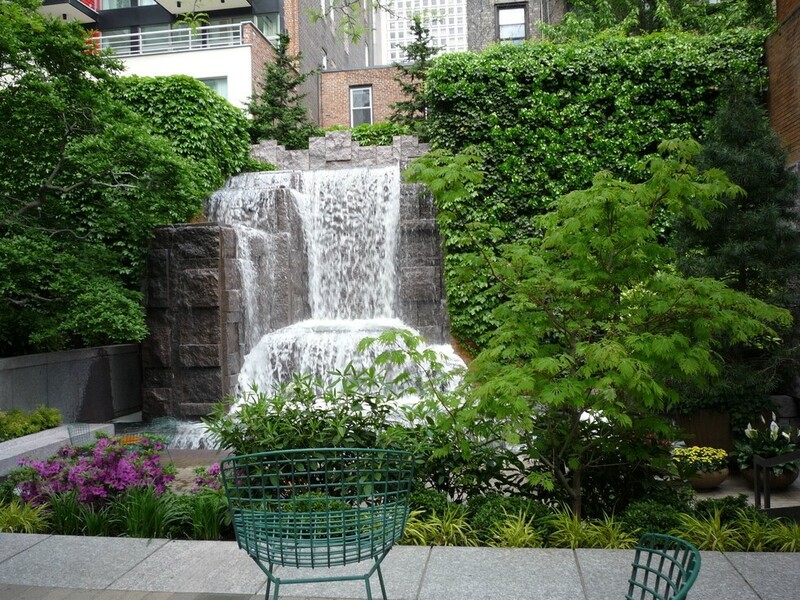 Greenacre Park spans just 6,360 square feet but features a 25-foot waterfall. 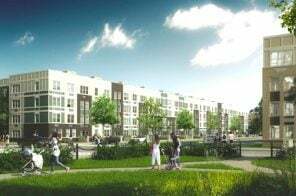 In addition to being a beautiful escape into nature, the roaring waters block out a lot of the car honking and construction work noise of Midtown. The park was first constructed in 1971 by the Greenacre Foundation and designed by Hideo Sasaki. Additional perks of the park include a trellis with heat lamps, plenty of seating and honey locust trees, azaleas and pansies. How about an address for the Houdini Museum?? Wonderful guide. Love it! But El sabroso is at 265 West 37th Street, not 27th street.